I have been asked often about how to start a simple implementation of CRM, especially by promoters of Vice President of Sales level person. 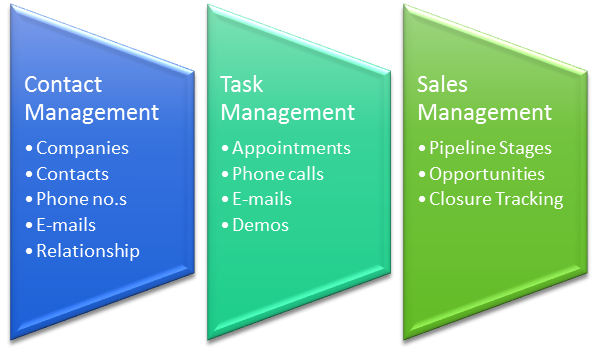 Here is a three step process to implement a CRM at your organization. This is just fine for any kind of business, any size of business. Keep it simple and let users get used to the CRM. Always take user feedback and make changes as required. Very creative infographic from ClickDimensions. Happy Holidays from ClickDimensions! – Marketing with Microsoft Dynamics CRM – ClickDimensions Blog. Arne Sorenson, President and CEO at Marriott International finds out how social media gives him ‘intriguing ideas’ for free! Great piece. The Science and Serendipity of Decisions | LinkedIn. CRM success truly hinges on effective change management. “People Problems” Stymie CRM Initiatives | Forrester Research. Overcome Multichannel Customer Service Challenges – CRM Magazine.